When the Exxon Valdez oil tanker struck a reef in Alaska and spilled 44,000 tonnes of oil in 1989, everything changed for marine safety around the world. The international marine community worked together to rewrite the rules to enhance ship safety and spill response while ensuring that industry paid for cleanup costs. Since this accident occurred, in spite of an increase in marine shipping, there has been a downward global trend in numbers of large oil spills (i.e. greater than 700 tonnes) from tankers annually. Even with this strong record of safety, Canada – known for its natural wonders and featuring the world’s longest coastline – decided more needed to be done. That is why the Government of Canada has launched the Oceans Protection Plan, the largest investment ($1.5 billion) ever made to protect Canada’s coasts and waterways. Announced by Prime Minister Justin Trudeau on November 7, 2016, the Plan was born out of collaboration – the federal government asked Canadians directly and, together with other stakeholders and Indigenous Groups, developed innovative approaches to raise the bar on marine protection. Investing in science for decision-making. Over the next five years, more than 50 initiatives associated with these priority areas are being launched under the Plan. They will include faster response to oil spills, removing abandoned boats across the country, reducing vessel noise to protect whales, exploring new ways to work together with Indigenous communities, and researching how oil behaves when spilled in marine environments. Everyday, Canadians consume goods that arrive from around the world by ship, and 95 per cent of the approximately 180 million tonnes of Canada’s commodities and processed goods – including minerals, oils, metals, and wood – are exported by marine transportation to international markets. Canadians must have confidence that these goods are shipped to and from Canada without harming their environment. Through the Oceans Protection Plan, Canada aims to create a marine safety system that will respond faster and more effectively to marine spills. In addition, the Government of Canada is launching new preventative measures to help make sure marine spills do not happen in the first place. The Oceans Protection Plan will expand the Canadian Coast Guard’s role in patrolling and monitoring Canada’s marine environment 24/7 and responding to marine incidents. For example, it will strengthen Coast Guard’s Marine Communications and Traffic Services Centres (Canada’s ears and eyes on the water) to ensure uninterrupted communications with mariners. With increased Coast Guard capacity, the Government of Canada will be in a better position to work closely with Indigenous and local communities to assess risks and respond quickly to marine emergencies and pollution incidents. To achieve this goal, the Canadian Coast Guard will provide training in search and rescue, environmental response, and incident command to establish new Indigenous Community Response Teams on Canada’s West Coast. This will support a greater role in marine safety in their communities. The Canadian Coast Guard Auxiliary’s vital role will be expanded. This 4,000 plus network of search and rescue volunteers will be offered training in the basics of environmental response to support the Coast Guard in the investigation, assessment, and monitoring of activities in response to reports of marine pollution. Community Response Teams and Canadian Coast Guard Auxiliary will join with municipalities, towns and other stakeholders to participate in exercises to ensure all hands are on deck in the event of an oil spill. There will also be tougher requirements for polluters. Under the Oceans Protection Plan, the Government of Canada is strengthening the polluter-pay principle by updating its Ship-Source Oil Pollution Fund. This will include providing claimants with unlimited compensation by removing the Fund’s per-incident limit of liability. There will be a guaranteed fund top-up, so that in the unlikely event that the Fund is depleted, funds would be recouped through a special levy on those companies who import and export oil by ship. A world-class marine safety system must also be secure. 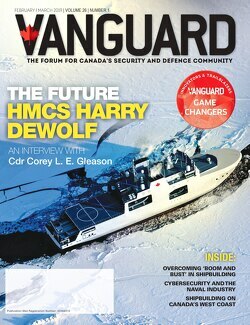 Maritime domain awareness means being aware of anything in the marine domain that could threaten Canada’s national security. It requires a coordinated effort. The Canadian government is working with stakeholders and global partners to reduce marine security risks and achieve greater maritime domain awareness. These efforts contribute to the security, safety, and prosperity of Canadians and of our allies. Through the Oceans Protection Plan, the Government of Canada will preserve and restore coastal marine ecosystems that are vulnerable to increased marine shipping. Working closely with marine stakeholders and Indigenous and coastal communities, they will create a program to better understand the marine environment in areas where there is a high volume of vessel traffic. This data will help detect changes in the ecosystem and increase awareness of how shipping affects Canada’s marine environment. This will include working closely with domestic and international partners to reduce vessel noise in the critical habitat of the Southern Resident Killer Whale, off the coast of British Columbia. There will also be a national strategy launched to address the hundreds of abandoned and derelict vessels in Canadian waters, which pose a risk to the marine environment and public health. For the next few years, the Government of Canada will partner with people across Canada – from marine stakeholders to Indigenous and local communities – to play an active role in decision-making about marine safety. This is where the Oceans Protection Plan really sets itself apart from similar projects. Partnership and collaboration at the local level are the foundation of delivering many of the OPP initiatives. The traditional knowledge and expertise of Indigenous peoples and coastal communities is critical to protecting Canada’s coasts and waterways. They have been safeguarding these waters for years. They are often the first to respond to marine emergencies and can be the most affected when a marine pollution incident occurs. developing training programs to increase participation of the Indigenous community and women in marine safety jobs. Canada’s marine safety system will be built on stronger scientific evidence. This means that under the Oceans Protection Plan, the Government of Canada will work with international partners to access the best technology available for oil spill clean-up. Additional research will also be conducted to better understand how oil and petroleum products behave when spilled in a marine environment. The Oceans Protection Plan is the result of many conversations the Government of Canada had with Canadians over the last few years. Ministers and government officials sat with Indigenous Peoples, industry representatives, coastal communities, other levels of government and environmental organizations to learn what was needed most. Canadians also submitted their thoughts online through engagement portals. From coast-to-coast-to-coast, they gathered together to listen and to learn how to better protect Canada’s waters. Canadians told their government that they want jobs and prosperity, but not at the cost of their environment. They want the government to improve Canada’s trade corridors so they can prosper in a global, integrated economy, but also want Canadian products to be shipped in an environmentally responsible way. They expect the Government of Canada to advance economic needs hand in hand with environmental goals. The Oceans Protection Plan shows that this is possible – creating economic opportunities today while protecting Canada’s waters for tomorrow.